Why is my knee hurting and what can I do? This is one of the most common questions asked on knees. Almost every one of our knee patients has wanted the answer to this question. So, we thought it would make a good article for our blog page. Aside from the spine, pain in the knees is the most common musculoskeletal complaint. It can affect the young, middle aged or seniors. The cause may differ but the end result (pain) is what brings people to our offices. Pain and discomfort are the first things patients want control over and rightly so. Knee pain can be disabling and unfortunately for some it needlessly is. In our offices we have a wide range of therapeutic options for those that present with knee malfunction and pain. Our research based chiropractors and our clinical physiotherapists render team care for each of our patients. The systems and methods of care that we offer are significantly different than other chiropractic or physiotherapy centers in town. We will briefly discuss some of the common causes of knee problems before we tell you about our secret recipe for care, which has taken us years of research and fine-tuning. Simply put, use it or lose it! Muscles not used tend to weaken and atrophy. Not being active enough can cause the muscles in front of your thighs (Quadriceps), and those in the back of your thighs and legs (Hamstrings and Calf’s) to get weak, which may lead to an eventual wasting (atrophy). This is very important to understand. The knees are exposed when the surrounding tissues are incapable of sufficient support. In other words, when the thigh and leg muscles get weak, then the knee joints absorb more force. The impact from additional forces will damage the knee joint. The damage is due to increased stresses along the joint surface and these stresses will cause the joint to go through a degenerative process. The degenerative process often triggers the formation and deposition of additional unwanted calcium salts along ligaments and hence it can be said that it initiates knee arthritis. In addition to arthritis it can lead to stress on the ligaments, which can cause tears. Muscle weakness is possibly the most common cause of knee problems in those over the age of 40. Stronger muscles are important, but not if the increased strength leads to an imbalance. What we mean by this is that the muscles in front of your thighs (quadriceps) are the antagonists for those in the back of your thighs (hamstrings). Antagonist muscles are those that have opposing functions or those that compete with one another. These are muscles of opposite function, a mirror image. So, when there is an imbalance it will lead to malfunction. For example, the Quadriceps could be overly strong as compared to the antagonist (hamstrings). This is extremely important point, because this type of imbalance will impose uneven forces onto the knee joint, which will ultimately cause early joint break down. This type of an imbalance is often seen in the novice weightlifter. An imbalance in muscles around the knees causes misalignment; eventually something would wear out or breakdown. A leading cause of knee pain is injury. Injury can happen at any time and it can affect anyone. Aside from the slip and falls, high heals and skipping steps as one runs up the stairs; improper exercising is a major cause of knee pain. This holds true specially, for people who are just starting an exercise program or people not used to exercising to begin with. It is easy to overdo a workout. Too much of anything is not good. Exercise, just as in everything else in life, must be done with moderation. This is why we take it upon ourselves to spend enough time and educate those gym going patients of ours not to overdo too much or too soon. A commonly over looked cause of knee problems, malfunction and pain is improper shoes. Footwear is not only important for your feet, but for every joint, from your toe all the way unto your neck. Every weight bearing bone in your body is dependent on the bone below it. The knee is no different. Wearing proper shoes goes a long way. Wearing high heals or poor quality shoes will certainly lead to premature wear and tear of the knee and other weight-bearing joints. This is why our chiropractors and physiotherapists will communicate the importance of shoes with you. You can learn much more about knee pain and knee malfunction on our site, lease visit us at http://mychiro.com.my/joint-n-sport-injury/knee/. Knee pain and malfunction has many causes and the therapy you need must be diagnosis specific. What we mean by this is that before therapy is given a cause of the condition along with the diagnosis must be established. Many try to just start therapy. Some even try the “I don’t know, but lets give a go” attitude. Although they may not verbalize these words out-loud, it is what some will do. They count on luck rather than knowledge, skills or talent. In our centers, the very first thing you will go through is a detailed exam and evaluation of your condition. The examination and evaluation will ONLY take place after we have listened to you and have collected some pertinent information. The patient interview phase of our care is important as it will give us some ideas as to your activity of daily living, or lack thereof. The interview phase will be carried out by one of our chiropractors. In addition to the interview, we will perform some examination procedures to assert ourselves of the cause of your condition. Additional diagnostic procedures such as X-rays or MRI may be needed. If you do have these things already, please make sure that you bring them on your initial visit. 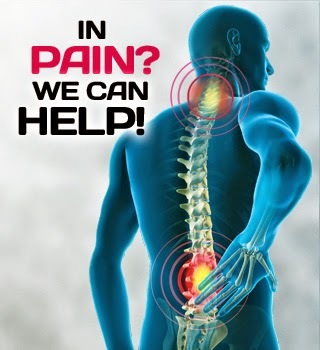 Our expert chiropractors will need these to finalize your diagnosis and therapy plan. Once a diagnosis is established by our chiropractor, he/she will write a treatment plan for your specific diagnosis. Treatments are dependent on the cause. Procedures performed are research based. What we mean by this is that we only recommend procedures that we are certain will be of benefit to you. We will not do procedures or accept you as a patient unless we are firm believers that we can be of assistance. Our chiropractor and our physiotherapists will discuss these topics and issues with you until you have a firm understanding of them. Therapy and treatments will only start after you have been fully informed on all aspects of your care including but not limited to costs, procedures, number of session and amount of time per session. When we start our care, it will be rendered through a collaborative team of Physiotherapists and our research based Doctors of Chiropractic. In addition to getting care from these two professionals, you may also be treated with specialized machines and devises, including exercise machines and systems. Rest assured, that safety and efficacy of sessions are our number one priority. I hope we have been able to shed light on knee pain and forms of care that are available to you at our Chiropractic Specialty Centers. Please log on to our site at www.mychiro.com.my to find a location near you. You may also call us at 03 2093 1000. When you get us on the line ask us about our locations. We will be glad to help you in any way we can.